The popular I VG E-Liquid ranged has arrived in a 50/50 range in 10ml bottles with 8 flavours to choose from. Blackberry Crumble eliquid By Dinner Lady Salt Nicotine is a sweet pastry blend. Cola Shades eliquid by Dinner Lady Salt Nicotine features a sugary cola flavour on inhale that has light caramel notes. 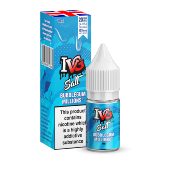 I VG Salt Nic Blue Raspberry is a mouth watering treat of fresh blueberries with a subtle slush effect. 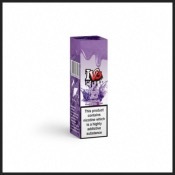 I VG Salt Nic Bubblegum Millions is a reminiscent childhood treat of the famous bubblegum brands you used to chew! I VG Salt Rainbow Blast is inspired by the classic mixed fruit candy sweets.